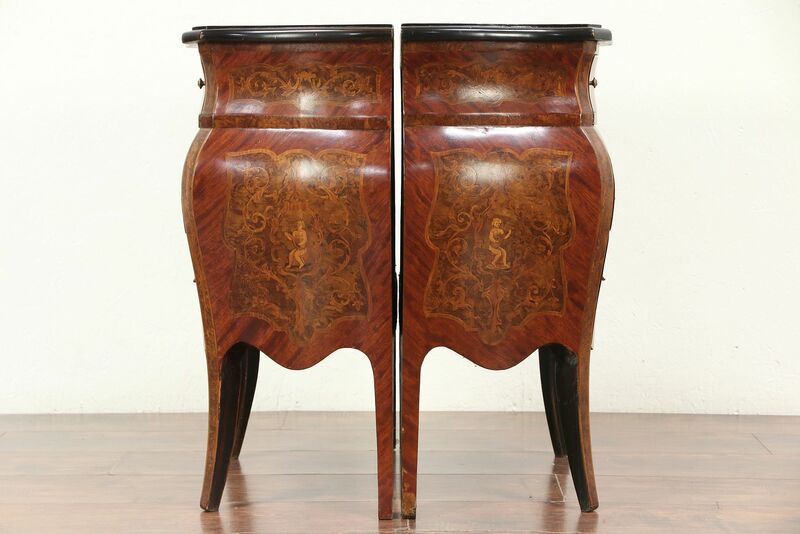 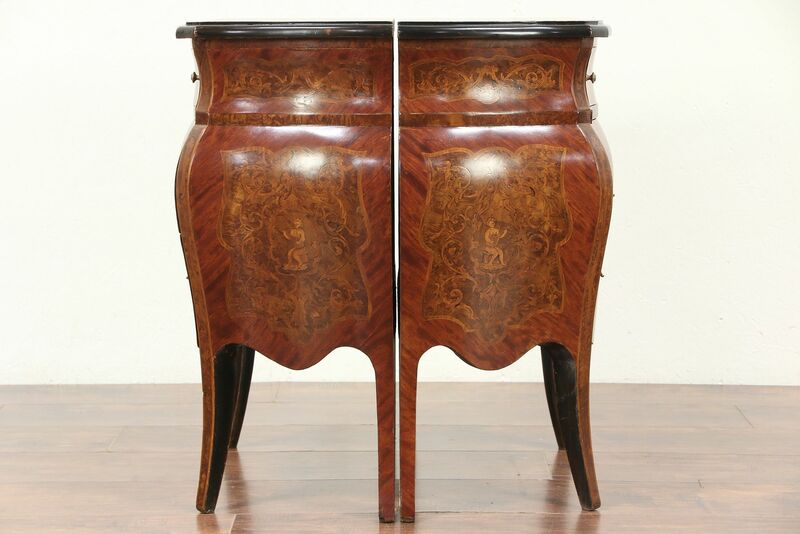 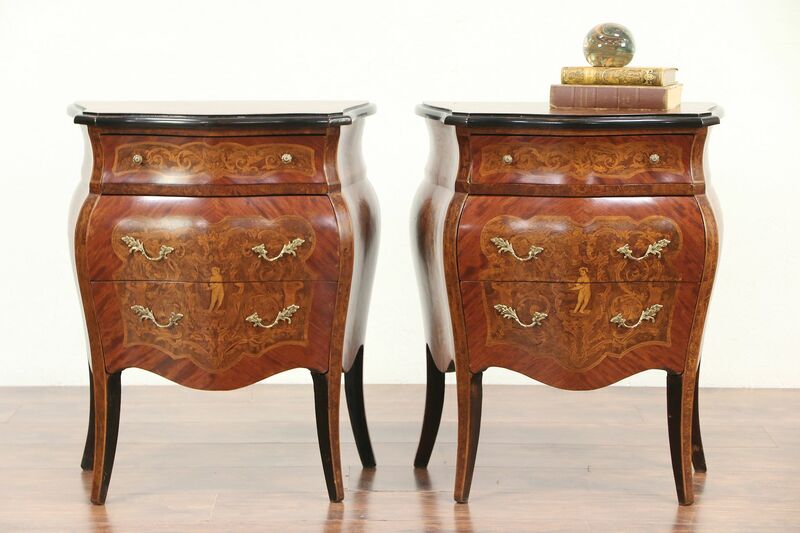 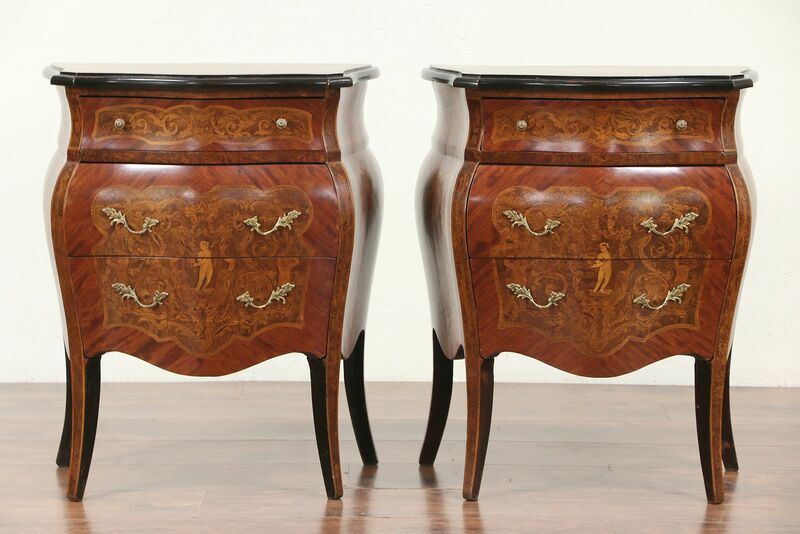 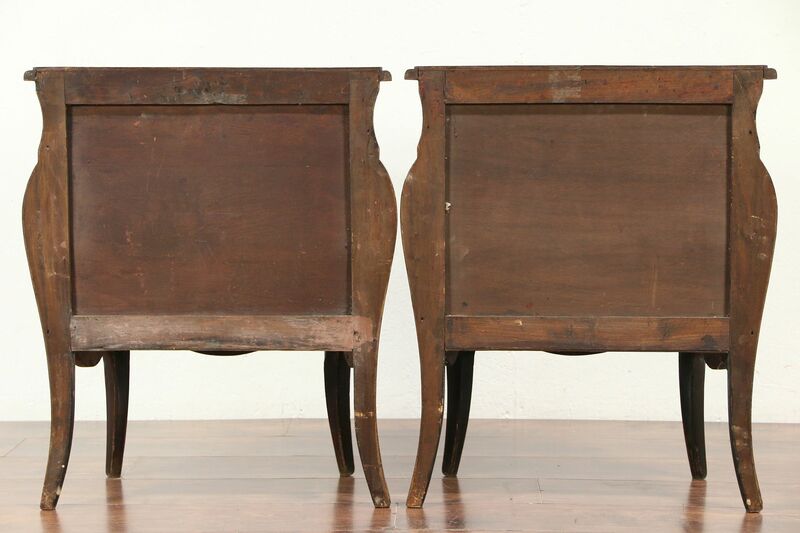 An exquisite pair of small chests, end tables or nightstands are "bombe" or convex shaped, with inlaid marquetry with angels or cherubs. 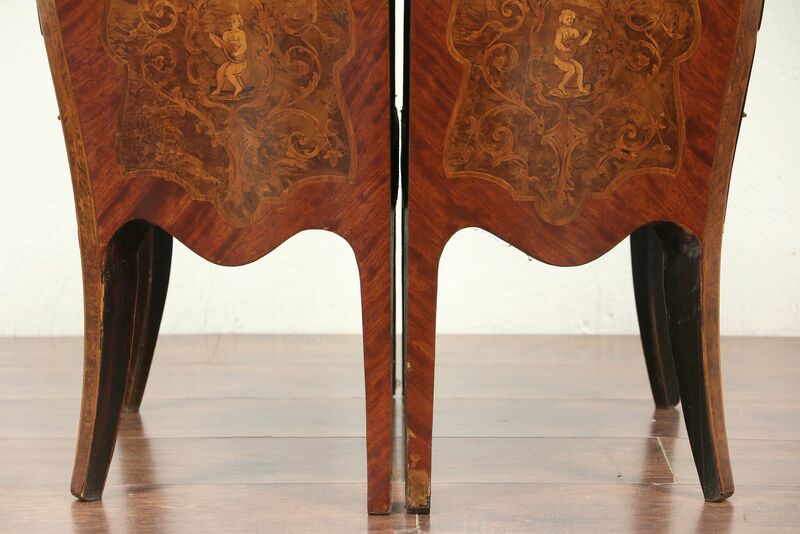 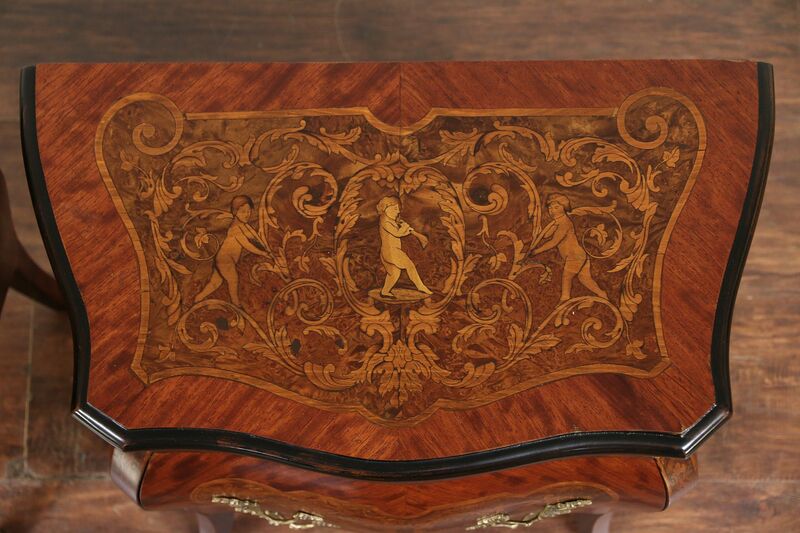 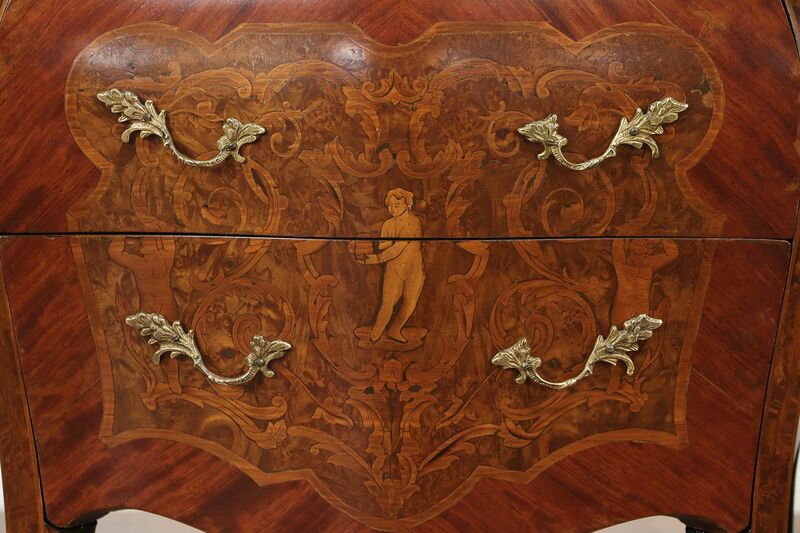 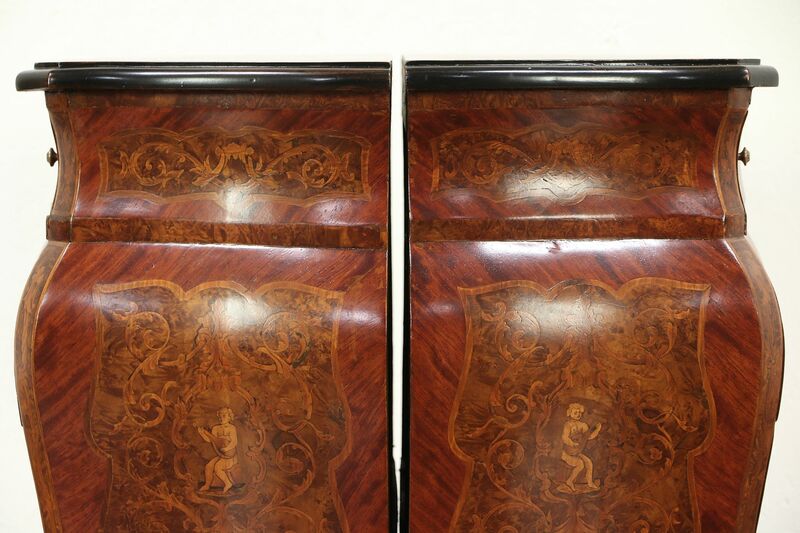 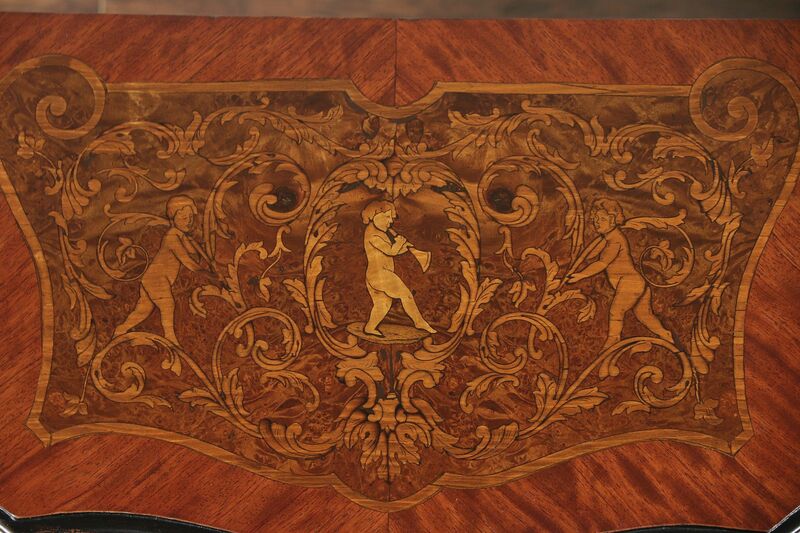 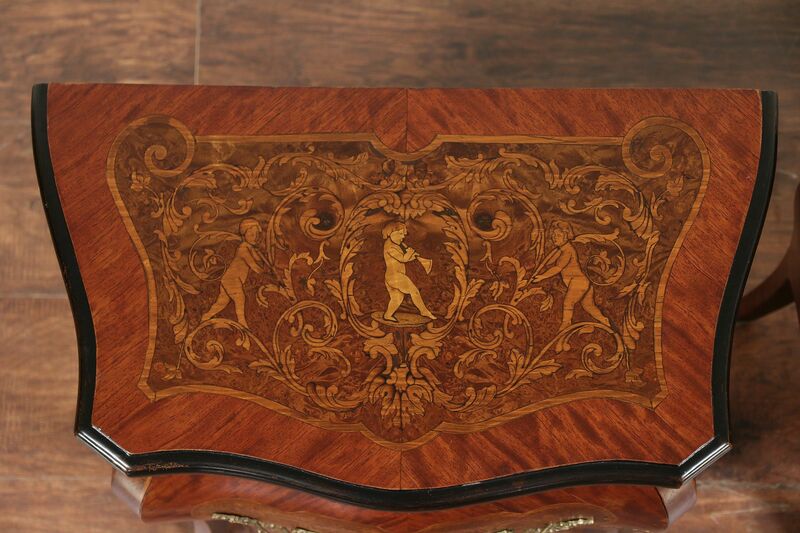 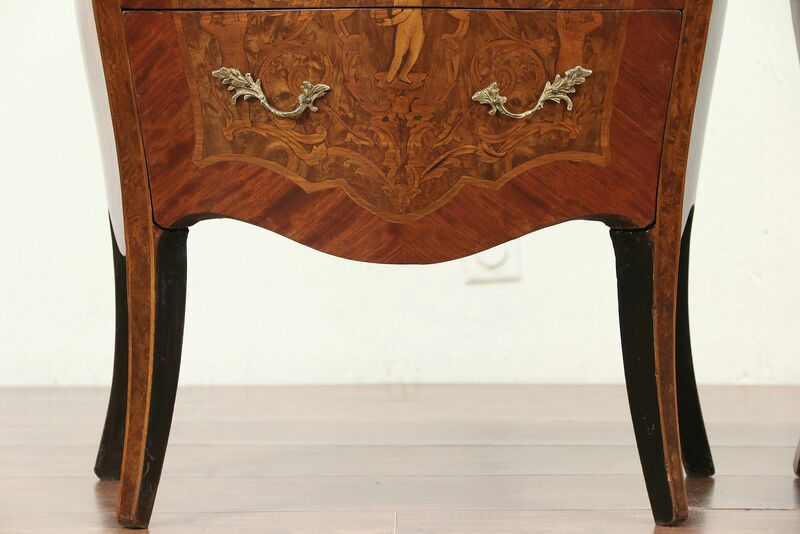 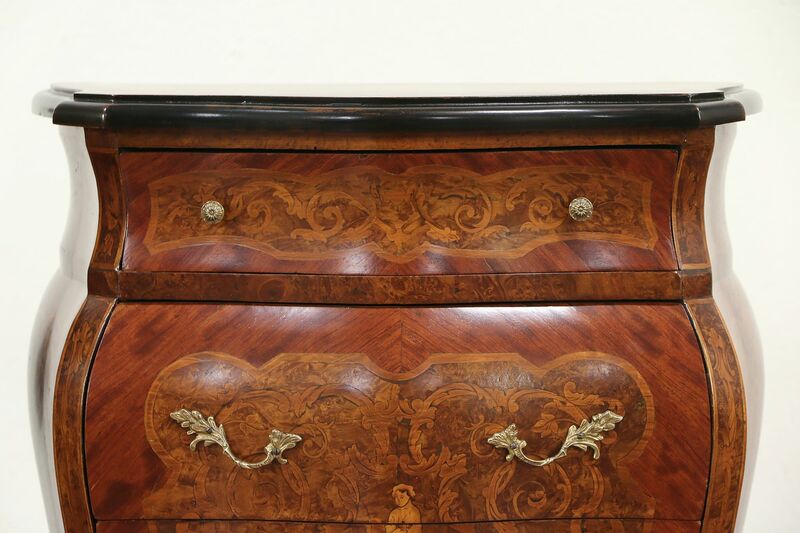 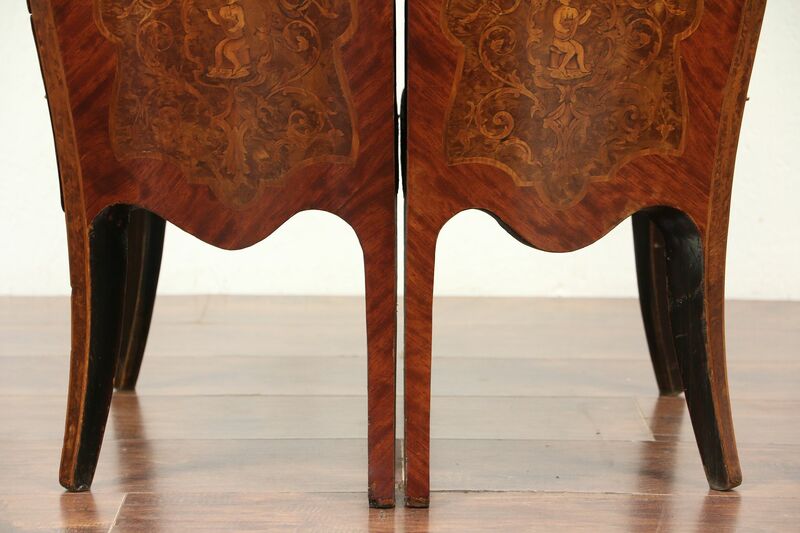 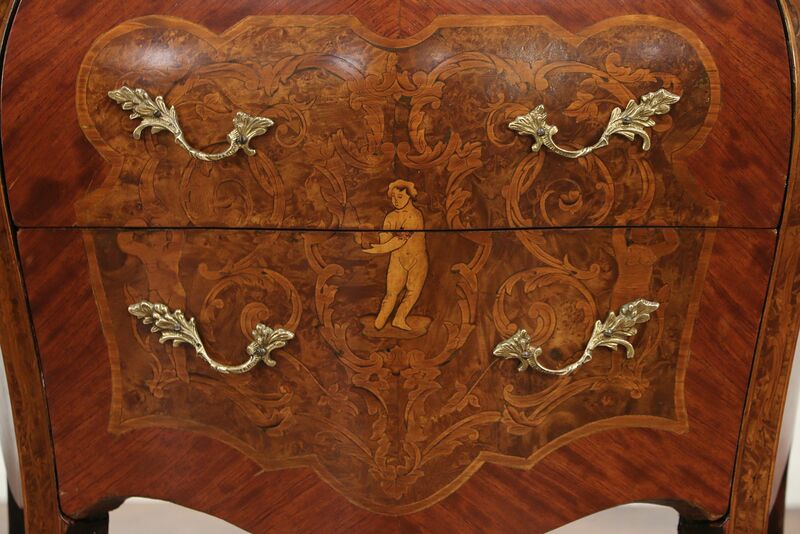 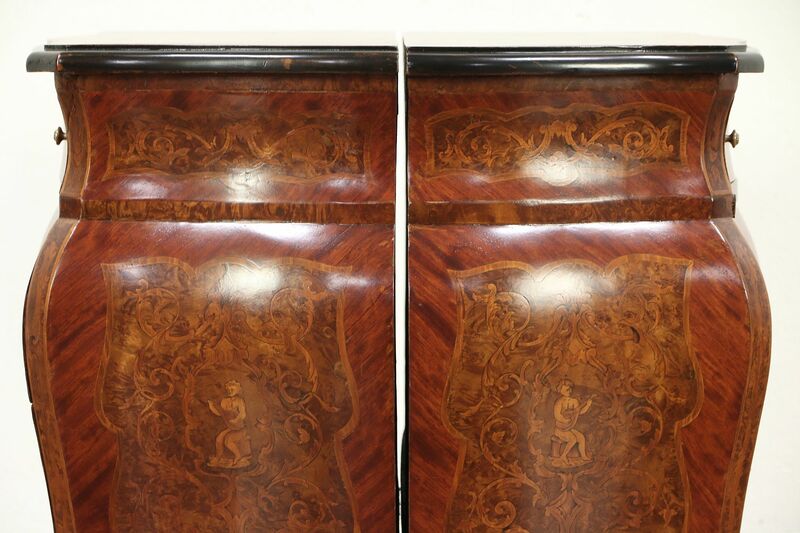 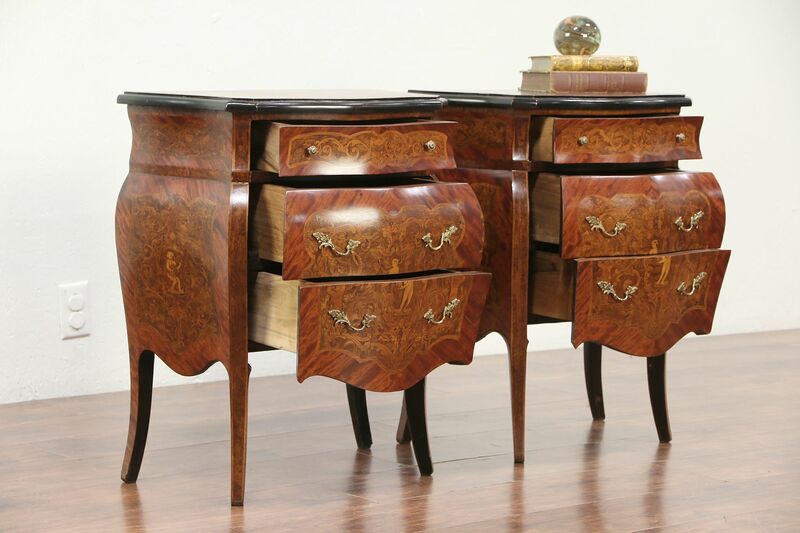 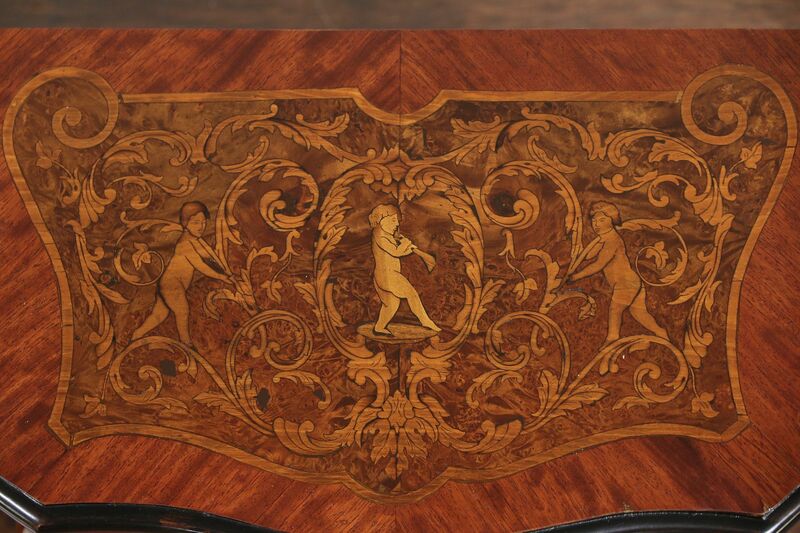 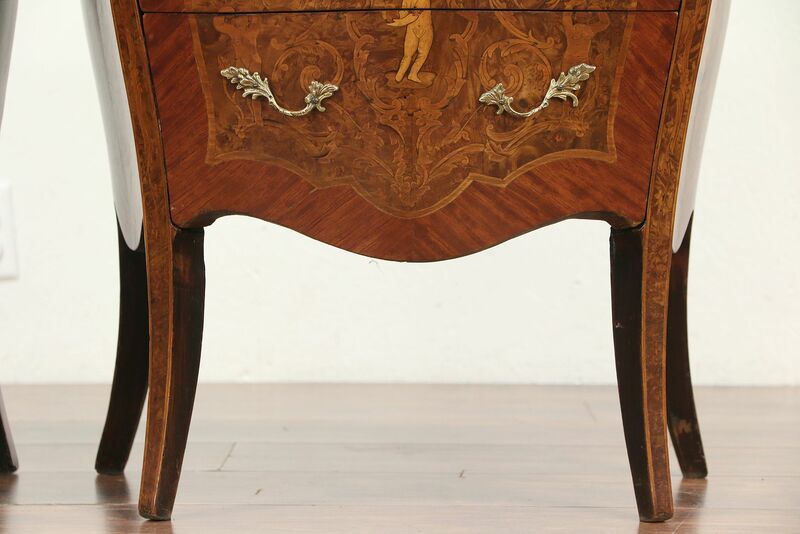 Intricate inlay designs include mahogany, burl and satinwood on this 60 year old vintage furniture from Italy. 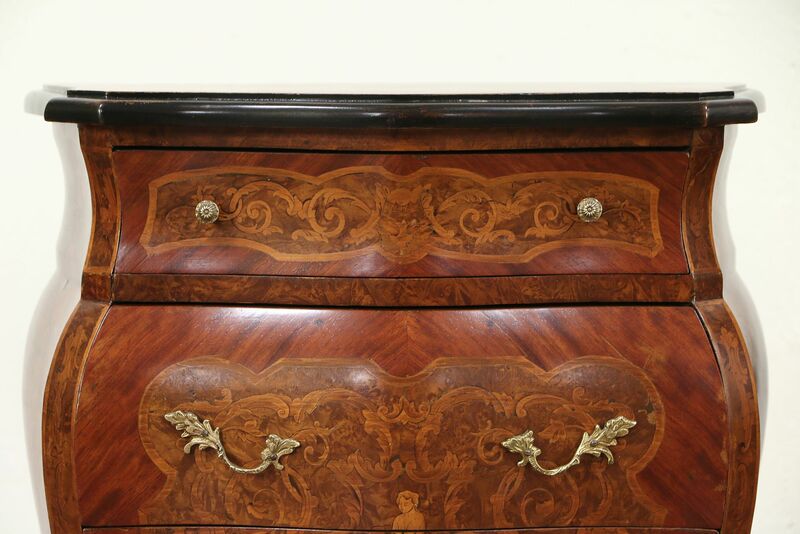 The restored finish is in excellent condition, brass hardware is original. 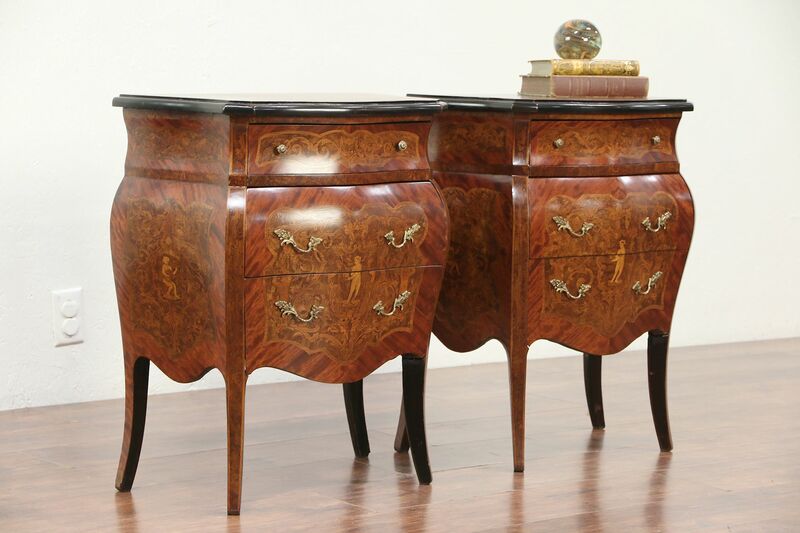 Measurements are 22 1/2" wide, 13" deep and 27" tall.